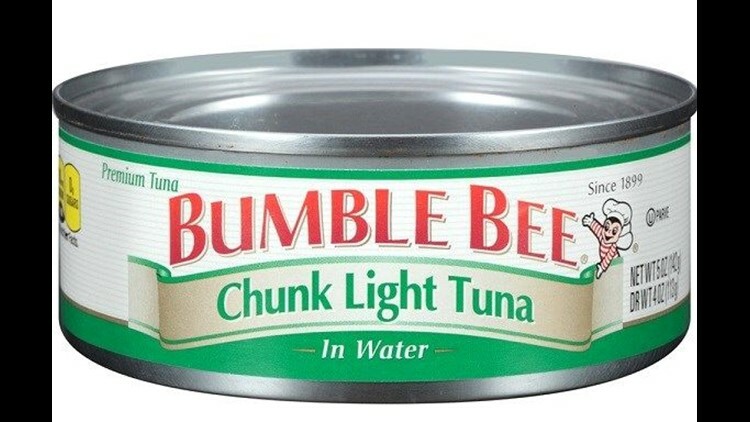 SAN DIEGO (CNS) - San Diego-based Bumble Bee Foods announced Wednesday a recall of more than 31,500 cases of canned chunk light tuna because processing deviations might have led to contamination. The recall was initiated under an abundance of caution, and no illnesses have been linked to the tuna so far, according to the company. However, consumers were advised by Bumble Bee to throw away the recalled product. The deviations were part of the commercial sterilization process that could result in ``contamination by spoilage organisms or pathogens, which could lead to life-threatening illnesses if consumed,'' according to Bumble Bee. The products subject to the recall are marked with a can code that starts with a T -- like TOA2BSCAFB. -- 8660000736 4 Pack of 5oz Bumble Bee Chunk Light Tuna in Water 02/9/2019, 02/10/2019, 02/22/2019, 02/29/2019. The tuna was produced last month, packaged at a facility not owned or operated by Bumble Bee, and distributed nationally, according to a company statement. The mishap was discovered during the packer's quality audit. Bumble Bee is working with the packer and U.S. Food and Drug Administration to expedite the removal of the affected products from stores. No other production codes or products are affected by the recall, according to Bumble Bee.